“We are living in a time of mercy.” Meeting with parishioners in Rome March 6, 2014, Pope Francis has no doubt about how to define our era, so tormented by conflicts of every kind: “a time in which God shows us a greater Love.” It is an affirmation that is only understandable according to divine logic, which astonishingly opposes the sin of mankind with a larger tolerance and a disarming declaration of trust in His creatures. It is a victory that does not end “at daybreak on the first day of the week” in Jerusalem. It is repeated in each one of us every time we decide to live the “first day” of a life that is wholly renewed by God’s love through the joyous encounter with the Risen Jesus, who always sets out to encounter us. In this sense, mercy is an appeal to return to God with courage; having faith in His patience and infinite tenderness. Every moment God is inviting people to this encounter of rebirth in Him. Throughout the history of humankind there is no lack of examples – some striking as well – of people courageously turning back to God. The entire Church is encouraged by Her Lord, first of all, to respond continually to His appeal of mercy and, at the same time, to proclaim it to the men and women of every age. After all, the call to come back to God is as everlasting as the impulse to go out of oneself to carry out the Church’s mission of evangelization. The image Pope Francis uses in his Apostolic Exhortation Evangelii Gaudium is beautiful: to be people who are an amphora – a vessel holding water – called to quench the thirst of those in the spiritual desert of our time. He wisely adds that “at times, the amphora becomes a heavy cross, but it was from the Cross, from his pierced side, that our Lord gave Himself to us as a source of living water” (sec. 86). Certainly among these “amphora-people,” one cannot but contemplate the testimony of the saints who, since time immemorial, have illuminated the path for humanity. By rereading their lives in the paschal light, this mysterious connection emerges between personal suffering and “communal” fecundity. One sees in them the “much fruit” generated by dying to themselves and to their own wills! 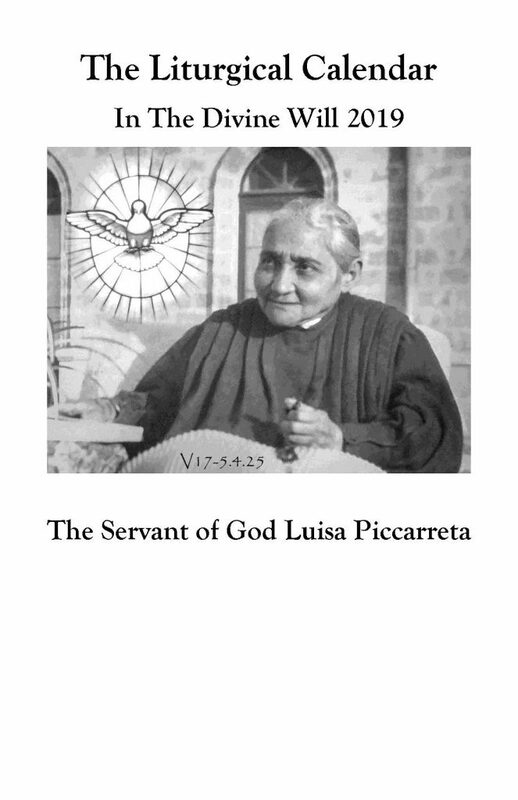 The profound testimony of Luisa Piccarreta also shows us this dynamic that is so typical of God’s mercy and that draws people to the deepest unity with Him in order to transform the heart into a gushing spring of water to benefit everyone. Thus, in her simple life as a lay woman who worked making lace, bound to the Church by an adamant obedience to her confessors, one sees her nailed to her bed of suffering for about 70 years in order to create a magnificent masterpiece of love for all creatures. God’s will is no longer for me an alien will, something imposed on me from without by the commandments, but is now my own will, based on the realization that God is in fact more deeply present to me than I am to myself Then, self-abandonment to God increases and God becomes our joy (cf. Ps 73 :23-28)” (sec. 17). Living this way means that even our smallest act in life takes part in the dynamic of mercy, contributing with Jesus to bring His light to all hearts – and to God – all the praise and adoration that everyone ought to give Him. This petite woman from Southern Italy – who experienced a succession of various epidemics, two wars and who dried many tears shed because of the difficult living conditions of the people around her – transformed her entire heart into a dwelling place for God alone. Those who met her felt drawn to the truth of Heaven and compelled to live a life of holiness, a life spent entirely engaged in ordinary everyday activities, modeled after the family of Nazareth. And it is precisely in the everyday that God’s mercy seeks out humanity – to restore to them the innocence of Eden – to a life filled with joy and to an existence guided by the certainty of being God’s beloved children. Cardinal JOSE SARAIVA MARTINS, C.M.F. 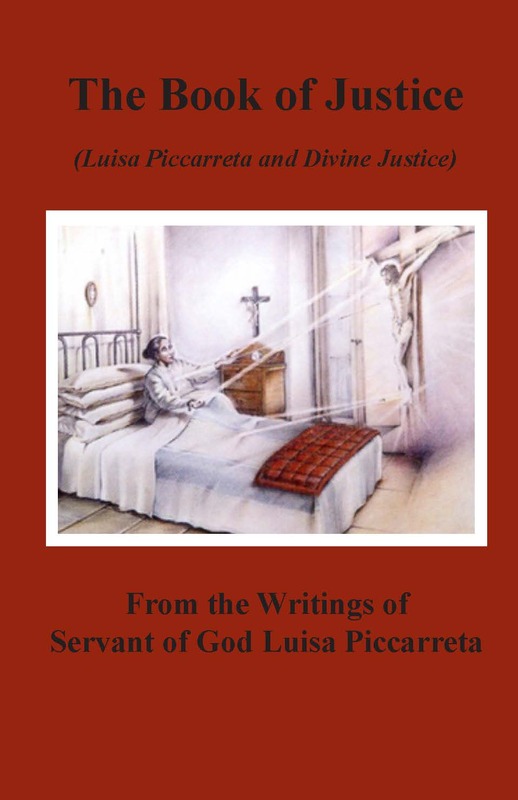 The publication of this first documented biography of the Servant of God Luisa Piccarreta is both a final achievement and a new point of departure. After the conclusion of the Diocesan investigation into the life, virtues and fame of holiness on October 29, 2005 in the presence of hundreds of faithful from many parts of the world, I was already keenly aware of the need to have an expanded biographical profile that could present the multi-faceted figure of this lay Dominican from our archdiocese. 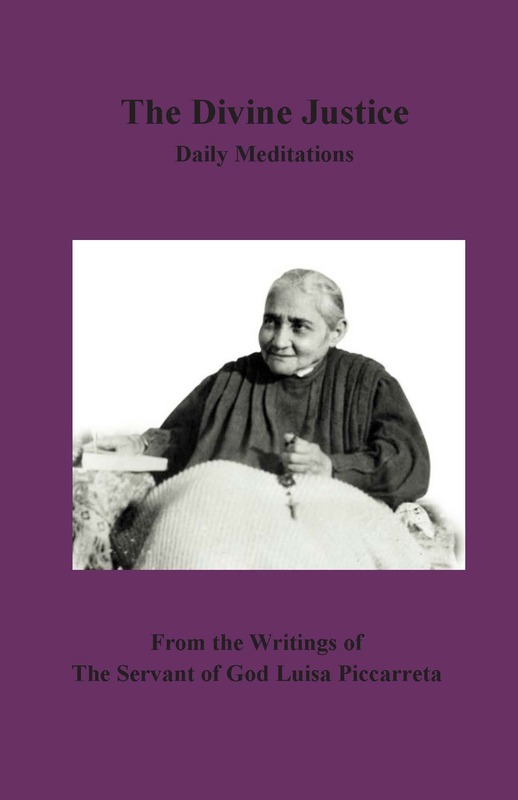 A video documentary was produced titled, “Dawn of a Mystery,’’ translated from the original Italian, “Alba di un mistero,’’ into various languages, with the aim of being an introduction to Luisa’s life and her spirituality of “living in the Divine Will.” Subsequently, on the occasion of the 60th anniversary of her death, the publication of the small book Giorni di Luce (Days of Light) focused attention on the event of her funeral and the impact it already had beyond Corato at the time. Nevertheless, it is only thanks to Maria Rosaria Del Genia’s valuable research and study that it has been possible to reconstruct, in an organic framework and historical context, the servant of God’s journey of life and faith. This biography, as I said, is also a point of departure – first of all, for those who have been familiar with Luisa Piccarreta for a long time. Her life will be able to help them understand better the mes sage she carried. By reflecting on her daily actions and the essential focal points of her spiritual life, such as – sustained nourishment from the Eucharist; obedience to her confessor; unceasing invocations in prayer; and charity toward those most in need people will be inspired to follow in her footsteps, according to God’s Will for each person. However, those in the world who will benefit most of all will be people who have heard just a little bit about her life and, drawn to her spirituality, have asked for information and resources that go into greater depth. 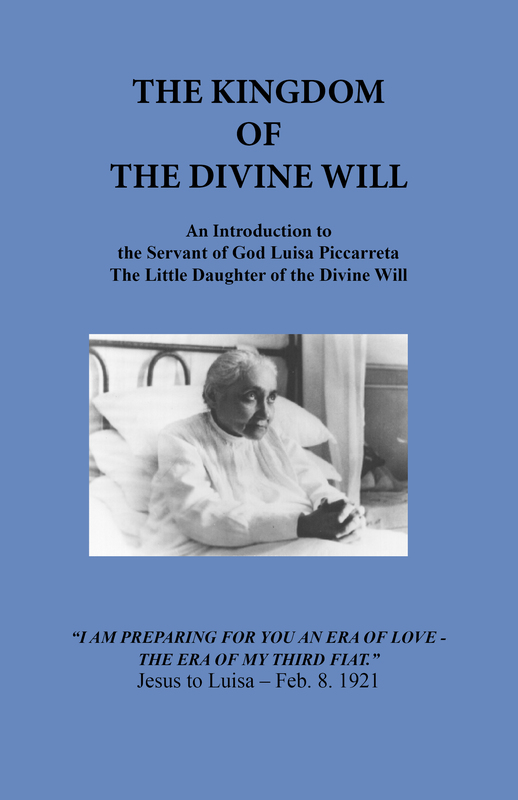 Therefore, this book intends to be of service so that the mes sage of the “Divine Will” shines throughout the whole world, in fidelity to the truth about Luisa’s life and in communion with the Catholic Church. It is that Church to which the servant of God intended to surrender herself and to all that the Holy Spirit gave her to understand about the “fiat voluntas tua sicut in caelo et in terra” (“Your kingdom come, Your will be done, on earth as in heaven’’) (Mt 6:10). It is no mystery that this proclamation has struck a chord in so many different countries in the world and that so many faithful have found a reason to renew their faith and for many others to rediscover it. Any personal spiritual deepening is almost always accompanied by a communal journey with prayer groups, often guided by a priest or, in any case, in communion with the local bishop of the diocese involved. In some cases the bishops themselves have organized the groups that are present in their dioceses, guaranteeing that their formation be in light of Church doctrine with an itinerary of study and a sacra mental Christian life. A source of great wonder is the vitality evident in groups that are thousands of miles from Corato – in lands where Christianity is still very new. I am thinking about those groups in South Korea or the many groups in the Philippines and the outreach taking place in Australia. One cannot forget the many groups in the United States, Mexico and many other countries in Central and South America, as well as all the news from the faithful in Costa Rica, Nicaragua, Colombia and Venezuela, for example. Often I ask myself the reason for such participation and why it has spread so far and wide. Undoubtedly God’s plans often take us off guard and leave us astonished. 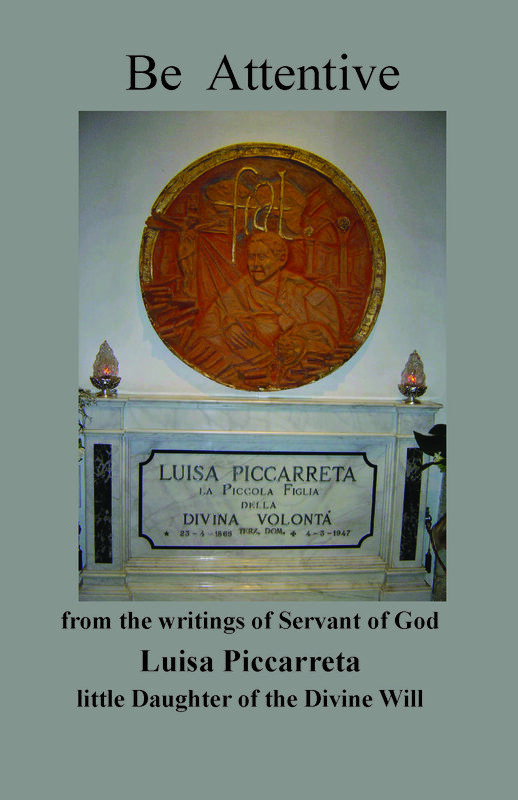 It is a plan that has been carried out for many years, thanks to the tireless work of priests, laypeople and consecrated men and women who, after having come into contact with Luisa Piccarreta’s spirituality and without ever having had the chance to know her personally, have dedicated themselves to spreading the message that set their hearts on fire. This has not been an organized and coordinated strategy, but a “movement” that sprung up naturally on its own accord and that, in many different ways, gave rise to what can be defined as the “family of little children of the Divine Will” in the world. As bishop of the diocese that looks after the historical memory of Luisa, my constant invitation is for all people to live in unity and ecclesial communion and to feel part of one plan alone – partners in a plan that God wants to carry out in the Church for the benefit of all of humanity. 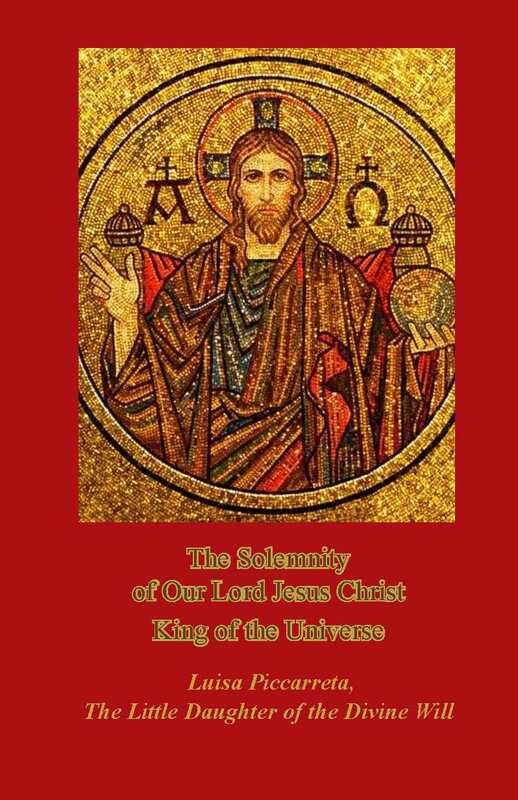 With The Lord’s Prayer, all of us must pray for the coming of the Divine Kingdom – the fulfillment of God’s Will on earth as it is in heaven. By inviting us to participate in His love through the gift of the Holy Spirit, Jesus asks us, just as He did with Luisa, to embrace heaven and earth together. In that way He lets us share, through His humanity, in all the heavenly gifts He possesses and that He wishes to give to every person. To the extent to which we submit ourselves to this call and are removed from all personal self-interest or biases, the Divine call that Jesus gave to Luisa to “live in his Divine Will” will be able to bear the fruits of holiness in many hearts that are often closed up in sadness and locked in the illusion of a life without God. In order to help these hardened hearts, the archdiocese and the association are promoting her cause for sainthood, letting this gift be more widely known in the Church – the gift safeguarded in this little creature who lived in the simplicity of her faith. 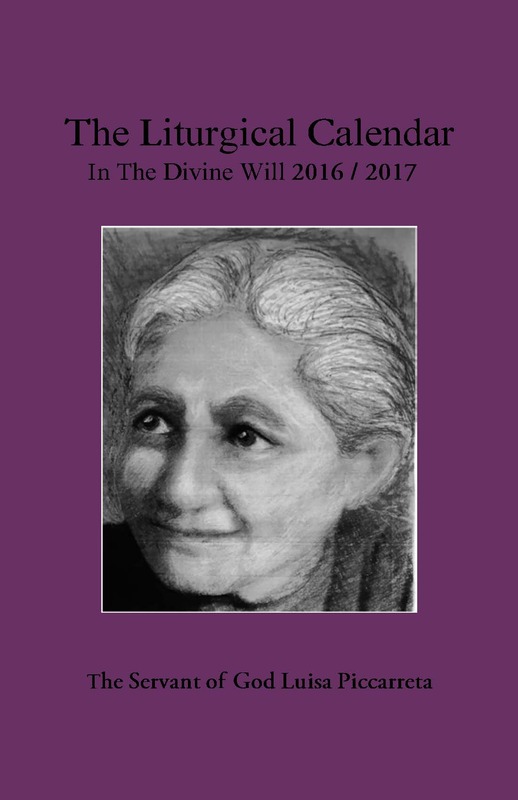 In addition, they have begun working on a critical edition of her writings in order to offer greater assurance to the faithful who value the importance of these writings for their spiritual growth. 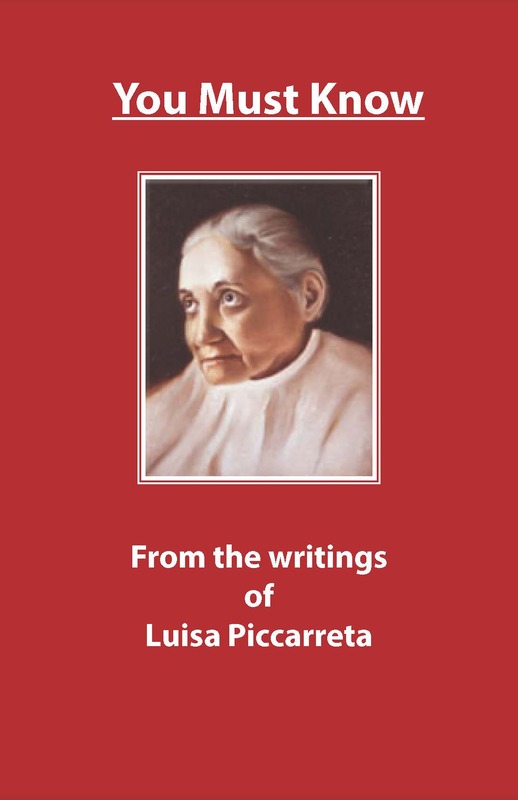 In fact, even though they may have been motivated by good intentions, many tried to create transcripts, translations and publications that have often been found not to correspond to Luisa Piccarreta’s original writings. In specific cases, even some independent translations have fomented false interpretations and misleading doctrines of which no trace can be found in Luisa’s life and thought. An authentic dissemination can never neglect the authenticity of the message and, therefore, the content one wants to spread far and wide. If one distributes writings whose conformity to the original cannot be guaranteed, no real dissemination would ever be achieved. On this point, my constant invitation is to be prudent and to adhere to what is gradually being done with the typical and critical edition of the servant of God’s writings. It is a complex task that must be supported in every way and, most of all, by praying for those who are carrying it out. 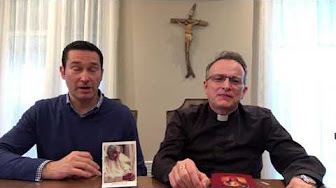 Moreover, I am convinced that spreading her way of life can never be disconnected from proper formation which is ministered in communion with the Catholic Church and is integrated with all aspects of Christian life. Knowledge of this exalted spirituality must not close us up and turn into sterile spiritual self-reflection, but must open us up to our brother or sister who walks by and in whom we often recognize the cry of Jesus Himself, who dwells in us and wants to be reciprocated with His own love. After all, it is what Luisa did her entire life by continually offering herself as victim on behalf of everyone. It is not surprising then that initiatives aimed at the social development of the poorest have also blossomed in many groups dedicated to the Divine Will. Luisa’s work is certainly still far from losing its impact. This can also be seen with the ample news about graces received through her intercession and that the Postulation of the cause for her beatification is diligently gathering and examining. Even more evidence is seen in the stream of visitors to the city of Corato, Luisa’s birthplace. 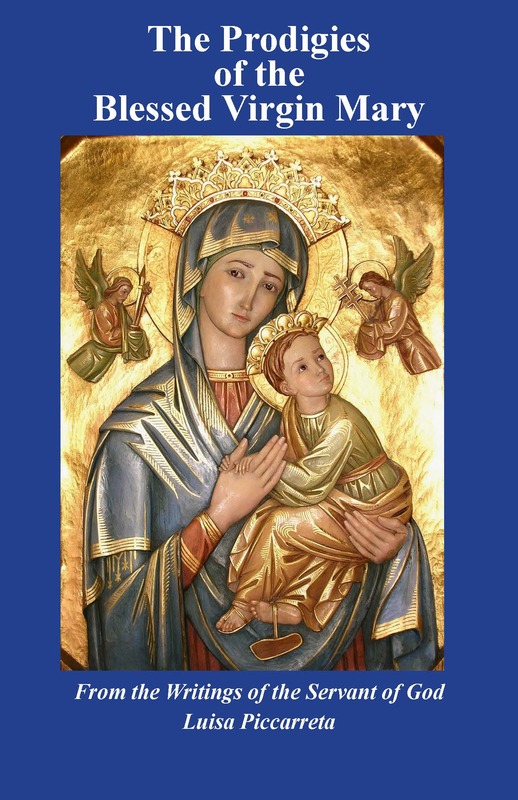 But most of all, it is evidenced by the fact that so many people naturally turn to Luisa of their own accord, as they did long ago, to ask to be accompanied along their life’s journey with the confidence that they will be led to God. All of this requires that we collaborate, each one contributing his or her part, so that God’s Will is done on earth as in heaven.